Evolution Roundwound Bass features a vintage J-style electric bass equipped with roundwound strings for a bright, defined tone that cuts through the mix. We developed this library in collaboration with Rosewood Recording Company, one of Utah's most venerable recording studios. Guy Randle, the owner and recording engineer at Rosewood Recording Company, incorporates a lot of analog audio equipment when recording, including a Neotek analog console, tube preamps, vintage compressors, and other classic analog gear. While we've provided the as-is direct signal of the bass, we also included an enhanced signal as well, which adds some bite to the attack of the notes and also increases the richness and sustain of the bass. 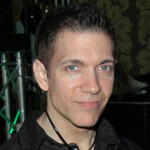 The bass samples were performed by seasoned bassist Bill Cushenberry. Originally from Burbank, California, Bill's musical career started early and has taken him around the world and across the US. He has been a mainstay in the live gig and studio scene in the intermountain west for many years, including stints in both the Osmond Brothers and Donny and Marie bands. He plays an array of basses, but this particular bass has been his personal favorite for over forty years. Evolution Roundwound Bass is outfitted with our Evolution guitar engine which provides you with a wealth of appointments: customizable mapping system, configuration for the instrument's tone and playability, and a robust effects suite. 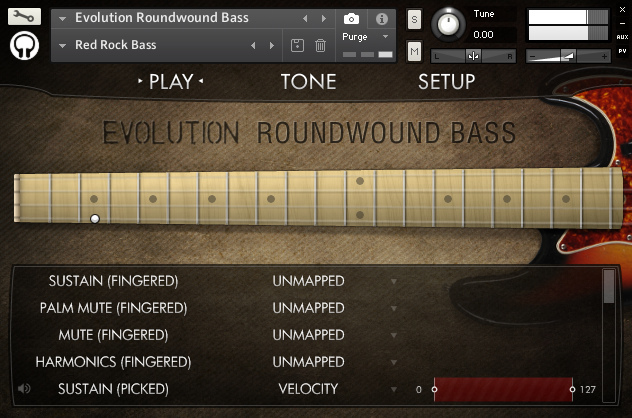 The library includes many factory presets for ready-to-use classic and modern bass tones that fit right into the mix. - 21.9 GB (compressed to 9.9 GB using the lossless NCW audio format) of 24-bit samples. 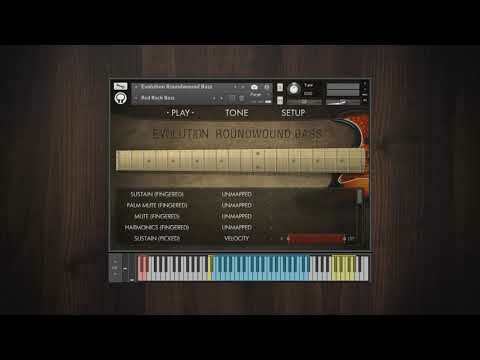 Evolution Roundwound Bass licenses Native Instruments' Kontakt Player sampler software. 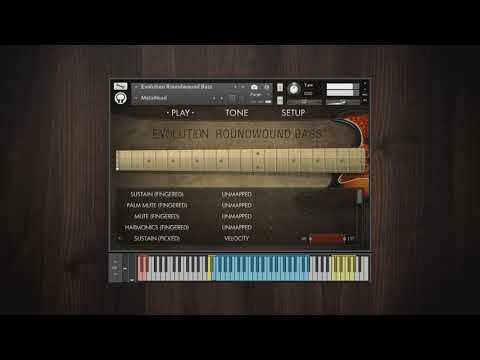 Consequently, owning the full version of Kontakt is not necessary, and Evolution Roundwound Bass operates without limitations within the free Kontakt Player application/plugin. This also allows the sample library to be listed in the libraries tab in Kontakt for convenient access. Evolution Roundwound Bass is NKS-ready. The integration with the Native Kontrol Standard presents many benefits, both when using the library in the Komplete Kontrol software as well as in conjunction with Komplete Kontrol hardware, such as the Komplete Kontrol S-Series keyboards and Maschine. 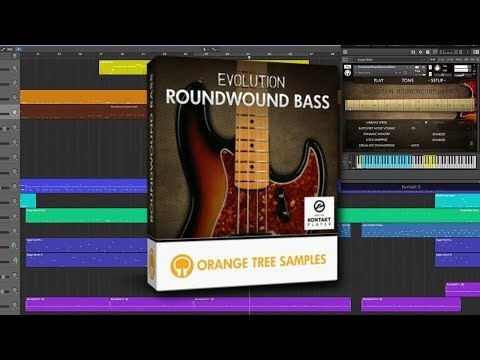 In addition to Evolution Roundwound Bass being displayed in the Native Browser among your other Komplete Kontrol instruments, there are a variety of other benefits. For example, thanks to Native Instruments’ Native Map® technology, you can control the library’s various parameters directly through connected hardware right out of the box. Furthermore, the keyswitches and key ranges are shown using Light Guide, an innovative technology that displays the key colors directly on your Komplete Kontrol S-Series keyboard. 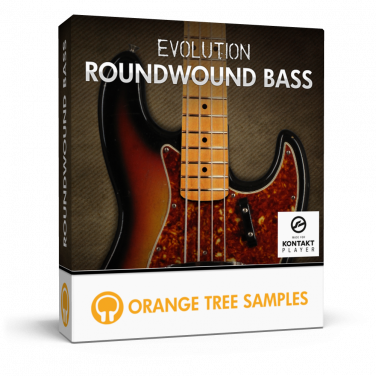 We recommend using Evolution Roundwound Bass with a Komplete Kontrol S-Series keyboard for the full experience. While not a requirement, you will be able to take advantage of the Native Kontrol Standard for an intuitive connection between software instruments and hardware. This product requires a total of 20.88 GB of free disk space in order to download and install the sample library. The total size of the download is 10.56 GB, and after installed the library occupies 10.33 GB.